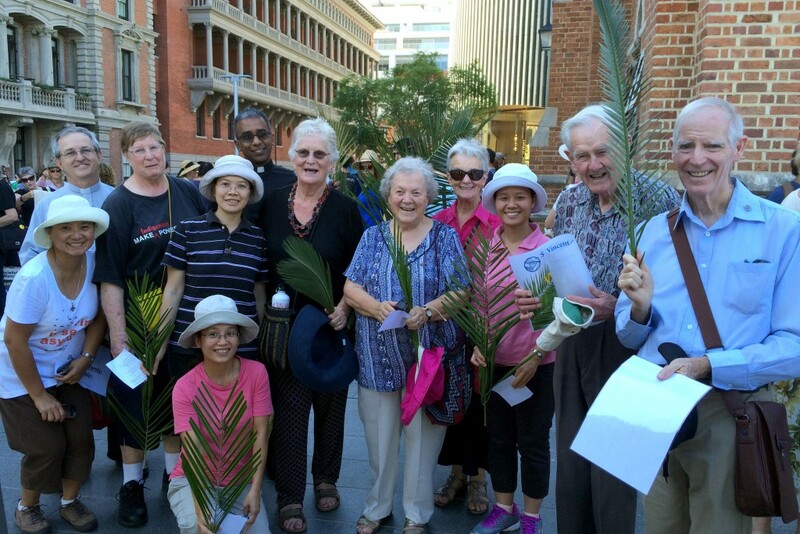 Around 1,000 people from varied faith and social justice backgrounds gathered for the Palm Sunday Walk for Justice for Refugees on 20 March, with a strong Catholic contingent reflecting on the need to show compassion to people seeking asylum. The event began at St George’s Cathedral in central Perth, where attendees listened to a number of speakers, including paediatrician, Dr Gervase Chaney; law student and former refugee, Rahila Haidari; Sri Lankan poet and former refugee, Ravi; Students for Refugees representative, Michelle Bui; and Archdiocese of Perth Catholic priest, Father Greg Donovan. Fr Greg spoke of his experience providing accommodation to five Iranian asylum seekers at his Kalamunda parish, and the importance of getting to know these people and their stories. “I have been enriched so much by learning their names, hearing their stories, hearing their frustrations, their joy when they receive Protection Visas,” he said. He added that one of the five asylum seekers had not received a Protection Visa, and was severely affected by this, having no access to work or Medicare support, although some doctors had provided medical and mental health support pro bono. Director of the Archdiocesan Justice Ecology and Development Office, Carol Mitchell, said that compassion for refugees was an important focus for the Church since the release of the Australian Catholic Bishops Conference’s Social Justice Statement in September last year. She said the statement – which covers 2015 and 2016 – was inspired in part by Pope Francis’ response to the drowning of asylum seekers at Lampedusa near Sicily three years ago. “The Social Justice Statement says ‘For Pope Francis, the boats were a symptom of a wider lack of justice and compassion in national and international life. The problem was not primarily one of people smugglers or of protecting borders. It was a problem of not valuing people properly’,” Ms Mitchell said. 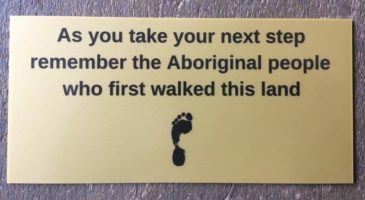 “The Australian Catholic Bishops’ Conference, through the Statement, reminds us of our global and personal call to action – by responding to the call of Jesus.